Have you ever had a mentor? Someone who took you under his or her wing to show you the ropes? Someone who freely gave their time and shared their knowledge and experience to assist you in your own growth and development? I can think of a couple of really good mentors I have had over the course of my career. These individuals helped shape my view of leadership and created my belief that a leader’s job, in part, is to develop future generations of leaders. They provided a safe space for me to be vulnerable, ask questions and explore ideas without any fear. They freely gave their time, insight and experience to help me be successful. For most leaders, complexity is outpacing their personal development and today’s escalating global complexity puts it at a premium. /Mastering Leadership/ involves developing the effectiveness of leaders – individually and collectively – and turning that leadership into a competitive advantage. This timeless text provides a systematic approach to developing your senior leaders and the leadership system of your organization – not with quick fixes, but with real development that requires a strategic, long-term, and integrated approach. 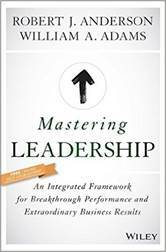 /Mastering Leadership/ offers a pathway to bring forth the best use of yourself, your life, and your leadership. In most organizations nearly everyone is doing a second job no one is paying them for—namely, covering their weaknesses, trying to look their best, and managing other people’s impressions of them. There may be no greater waste of a company’s resources. The ultimate cost: neither the organization nor its people are able to realize their full potential. 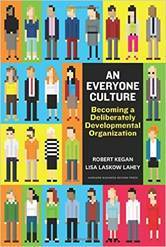 What if a company did everything in its power to create a culture in which everyone—not just select “high potentials”—could overcome their own internal barriers to change and use errors and vulnerabilities as prime opportunities for personal and company growth? Providing feedback (positive and constructive) is Management 101. Giving feedback to direct reports, co-workers or team members is essential to success. Providing upward feedback, while sometimes tricky, helps contribute to a transparent environment focused on growth and development. This is a pretty standard greeting as we acknowledge co-workers in the morning or begin a phone conversation. In fact, it’s become the kind of question that rarely, if ever, requires a serious response. If we do get a real answer, it often feels awkward or even intrusive. For some time I’ve noticed that the response I usually get when I ask, “How are you?” is “busy,” “crazy,” or “stressed.” It seems like most of us are running in different directions, struggling to manage it all, and striving to make a difference in our personal and professional lives. The common thread is the desire to achieve a greater work-life balance. We hear a lot about credibility these days, particularly as it relates to our elected officials (as in lack of credibility). It has even surfaced as we evaluate the results of our sporting events (e.g., deflated footballs, blown calls). Credibility is the quality of being believable or worthy of trust. As a leader, it allows your employees to put their faith in you to make good decisions, communicate with transparency and be a reliable source of information. It allows your peers and your manager to know that you are communicating without hidden agendas and that you have the organization’s best interest in mind. Have you ever had a mentor? Someone who took you under his/her wing to show you the ropes? Someone who freely gave their time and shared their knowledge and experience to assist you in your own growth and development? I can think of a couple of mentors that I have had over the course of my career. These individuals helped shape my view of leadership and created my belief that a leader’s job, in part, is to develop future generations of leaders.